The Asia-focused bank kept expenses under control and curbed bad debts, but socking away $900 mln for fines restrained profit growth. CEO Bill Winters promises more cuts and to double return on equity to 10 pct by 2021. Even then, StanChart would seriously lag Singapore peer DBS. People pass by the logo of Standard Chartered plc at the SIBOS banking and financial conference in Toronto, Ontario, Canada October 19, 2017. Picture taken October 19, 2017. Standard Chartered said on Feb. 26 it would cut $700 million in costs and exit smaller business over the next three years as it reported a 5.5 percent rise in full-year pre-tax profit, to $2.6 billion. Excluding the impact of some restructuring costs and a $900 million provision to cover fines from regulatory investigations in the United States and Britain, the bank’s underlying pre-tax profit was $3.9 billion, up 28 percent and close to an average analyst estimate compiled by Refinitiv. The volume of credit impairments improved to $740 million, 38 percent lower than in 2017. 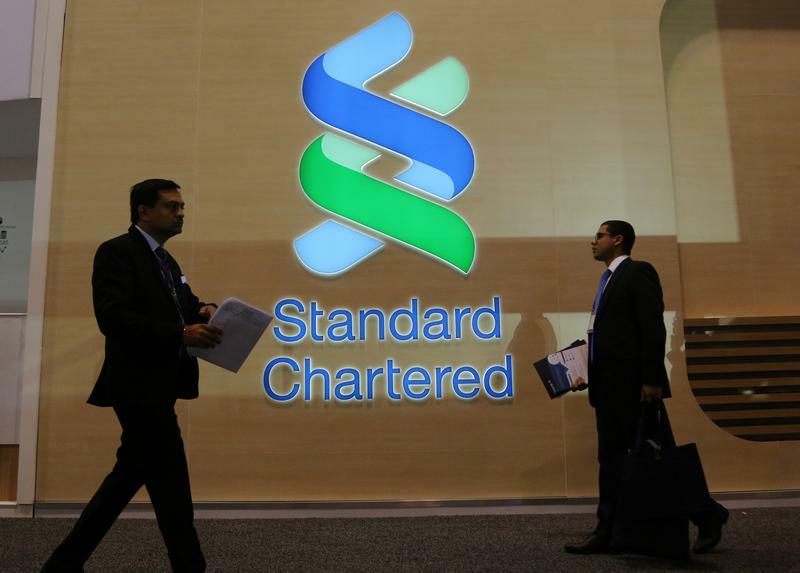 Standard Chartered said its 2018 net interest margin was 1.58 percent, compared to 1.55 percent a year earlier. Underlying return on equity improved year over year to 4.6 percent from 3.5 percent while underlying return on tangible equity grew to 5.1 percent from 3.9 percent. The bank said it plans to achieve a return on tangible equity of at least 10 percent by 2021. Cost growth is expected to remain below the rate of inflation over the coming three years while its income growth target will stay at 5 percent to 7 percent through 2021. The bank paid a final dividend of 15 cents a share, up 36 percent from 2017.